When visiting London the best value way to get around is by using the hop on hop bus services that gives you ultimate flexibility, especially helpful if its raining when you can schedule an indoor activity and venture back out when the sun comes out. 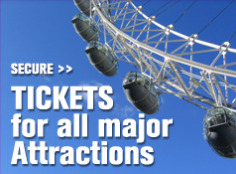 2 Day Hop on Hop off Bus Tour with Madame Tussauds and The London Eye, plus free river cruise. Take to the water on an enthralling River Thames Boat Ride and enjoy unique sweeping perspectives over London’s attractions and landmarks, for an altogether different London sightseeing experience. Madame Tussauds has been making wax figures for over 150 years. Each masterpiece takes four months, and a team of 20 dedicated sculptors, to create. Over 500 precise body measurements are referenced and real head hairs are inserted one by one – all to achieve the kind of astonishing realism that has kept Madame Tussauds world renowned for over two centuries. This is Flexible ticket allowing you to turn up at any time without a reservation. Priority Entrance is also included in the ticket price allowing our guests to avoid the main queue (note: there may be a queue of other ticket holders’ in peak periods). The London Eye offers breathtaking views of London from high above the River Thames. See Big Ben towering above the Houses of Parliament, follow St. James Park as it sweeps down to Buckingham Palace. Is the Queen at home? You’ll spot the flag flying if she is. A Standard Ticket Experience on the London Eye lasts for approximately 30 minutes, the time it takes for the London Eye to revolve completely. Relax in one of the 32 high-tech glass capsules and enjoy the London skyline at your leisure. The London Eye 4D is a groundbreaking 3D film with in theatre effects, such as wind, bubbles and mist, to make the 4D. The film itself is a touching story of a little girl in London with her father. Her view of famous London landmarks is obscured by people and traffic, but a seagull draws her attention to the London Eye and her visit finally gives her an amazing view of the city. Colourful parties inside the capsule, time lapse of the London Eye day and night and a spectacular firework display all add up to an emotional and entertaining experience; the perfect prelude to the London Eye itself. 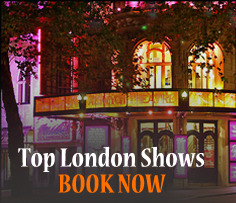 Posted on July 29, 2015, in Best Value Tours, Combined Tickets, Free River Cruise, Free Walking Tour, Hop on Hop off Bus, London Eye, London Sightseeing, Madame Tussauds. Bookmark the permalink. Leave a comment.